Bachelor of technology in civil engineering from Indian Institute of Technology, Bombay, India. I am a research scientist working with the Seismic Research Group. 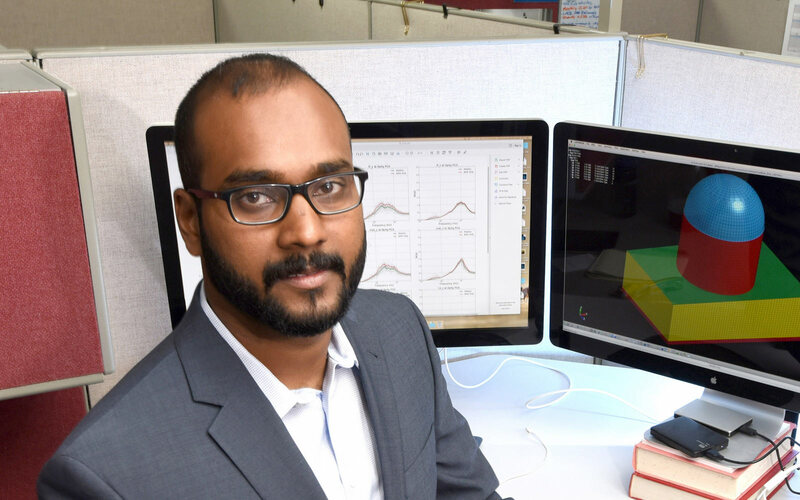 I do earthquake engineering research, which involves improving mathematical models that predict earthquake forces, modernizing methods that are used to calculate earthquake risk and also performing various earthquake-related experiments. What led you to become a research scientist? As a kid I was fascinated by gigantic structures like bridges and dams. I also enjoyed math, physics and writing computer programs. These interests led me to pursue an undergraduate degree in civil engineering with an emphasis on structures. After college, I found myself interested in research and asking myself the question: “Which field in civil engineering can help people the most?” Growing up in India, which has historically seen devastating earthquakes, earthquake engineering was quite an easy choice. So I went ahead, pursued a master’s and Ph.D. in structural and earthquake engineering, and here I am applying my knowledge to nuclear structures. The full interview is posted here.